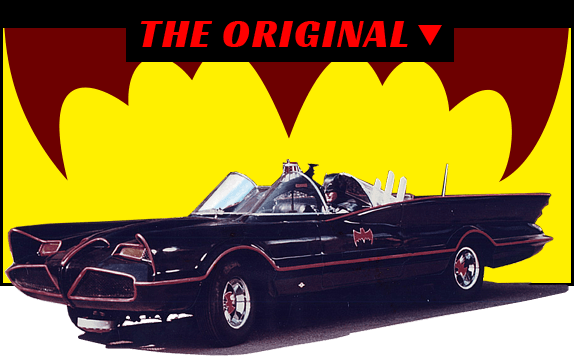 Exterior paint color "Velvet Bat-Fuzz Black" from Metalflake, Inc.
August 25, 1965 Batmobile proposal submitted by Barris Kustom City, including 2 sketches. 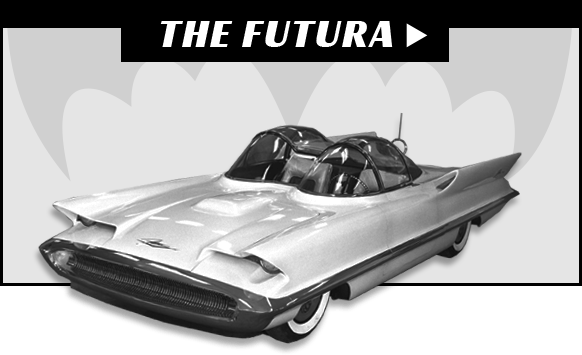 December 21, 1965 "Futura Show Car" aka the Batmobile, officially sold to George Barris for $1.00. February 3, 1966 First Exhibition of the Batmobile at the Pan Pacific Auditorium in CA. August 15, 1966 Contract to "construct two copies of the Batmobile"
September 21, 1966 Amended contract regarding exhibition of copies of the Batmobile, and refurbishing of Batmobile I.
January 11, 1967 Barris in "process of acquiring a fourth Batmobile"
March 9, 1967 Delivered to Barris Kustom City to be "refurbished." Refurbishment included, "put Batmobile I in first-class operating condition by completely refurbishing the interior and exterior of the body...and all mechanical moving parts therein, including the installation of a new engine and drive train." 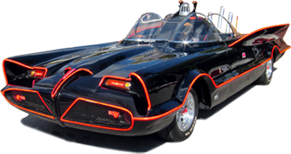 June 16, 1967 Barris requesting the intention to acquire an additional Batmobile ..."known as Batmobile #5"
January 23, 1968 "Prop-return time on the Batman Series. This is the property of George Barris and must be returned to him. Fox has the right to remove any props installed by the studio. This may be more expensive than to return the car intact." 8. Radar-like screen that Beeps and Blips and points an arrow as it picks up Robin's directional signal. 9. Mechanics for Emergency Bat Turn- Red Lever so named on Dash-Reverse Thrust Rockets beneath headlights- Ejection Parachute Mechanism at rear. 15. Special luminescent paint to define Bat outline at night, the placement of which shall be mutually agreed upon between Owner and Producer prior to the completion of the Batmobile.